The following is a list of the most commonly used materials along with a description of their important performance properties. For the most specific information on each type of insulation, please click on the provider directory. Insulation materials may be categorized (Turner and Malloy, 1981) into 1 of 5 major types. Cellular insulations are composed of small individual cells either interconnecting or sealed from each other to form a cellular structure. 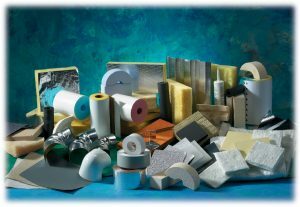 Glass, plastics, and rubber may comprise the base material and a variety of foaming agents are used. Cellular insulations are often further classified as either open cell (cells are interconnecting) or closed cell (cells sealed from each other). Generally, materials that have greater than 90% closed cell content are considered to be closed cell materials. 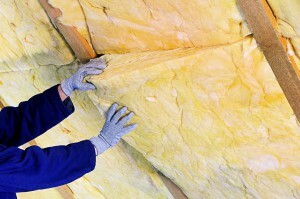 Fibrous insulations are composed of small diameter fibers that finely divide the air space. The fibers may be organic or inorganic and they are normally (but not always) held together by a binder. Typical inorganic fibers include glass, rock wool, slag wool, and alumina silica. Fibrous insulations are further classified as either wool or textile-based insulations. Textile-based insulations are composed of woven and non-woven fibers and yarns. The fibers and yarns may be organic or inorganic. 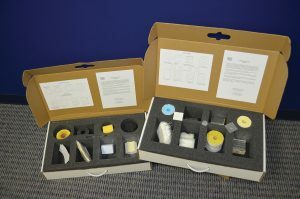 These materials are sometimes supplied with coatings or as composites for specific properties (e.g., weather and chemical resistance, reflectivity, etc.). 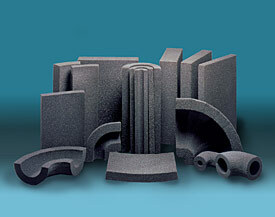 Flake insulations are composed of small particles or flakes which finely divide the air space. These flakes may or may not be bonded together. Vermiculite, or expanded mica, is flake insulation. Reflective insulations and treatments are added to surfaces to lower the long-wave emittance, thereby reducing the radiant heat transfer to or from the surface. 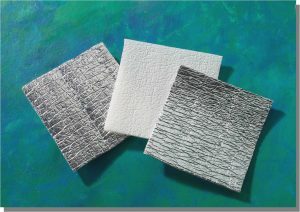 Some reflective insulation systems consist of multiple parallel thin sheets or foil spaced to minimize convective heat transfer. 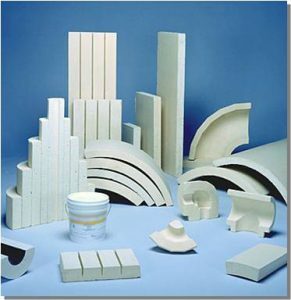 Low-emittance jackets and facings are often used in combination with other insulation materials. Another material sometimes referred to as thermal insulating coatings or paints is available for use on pipes, ducts, and tanks. These paints have not been extensively tested and additional research is needed to verify their performance.